Fonterra is coming under pressure ahead of its annual results announcement later this month to reveal more details about the performance and prospects of its Chinese affiliate Beingmate Baby and Child Food Co.
As of this week the market value of Fonterra's investment in Beingmate was down over $300 million, or around 45%, on the $750 million it committed to the investment three years ago. Yet, references to the performance of Beingmate in Fonterra's published results and commentaries have been cursory. 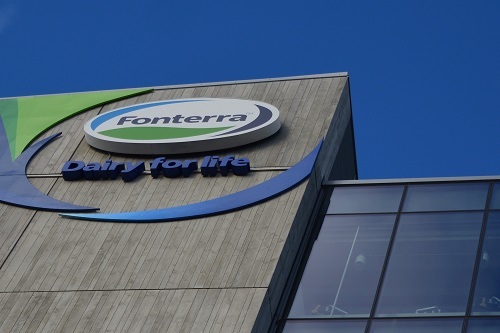 Fonterra attracts institutional and investor interest because the Fonterra Shareholders' Fund (FSF) units are publicly listed on NZX. In a research report ahead of the expected release of Fonterra's annual results on September 25, First NZ Capital analyst (Head of Institutional Research) Arie Dekker says sales and earnings at Beingmate are significantly down on when Fonterra (which he refers to throughout his report as FSF) invested and have not delivered to date, on the potential Fonterra outlined when it made the investment. "In short, Beingmate has lost sales, missed FSF targets and likely lost reasonable market share in the last three years and FSF has been largely silent on it with investors. "We view the investment [in Beingmate] as a material one from both a financial and confidence perspective and think that the time is right for FSF to provide a more fulsome disclosure on what has happened with Beingmate and the reasons why it remains confident in the long-term future," Dekker says. It is possible, he says that Fonterra has a firm view that the impending completion of current regulatory changes in China (which have clearly had a disrupting impact on a number of players in the market) will form a firmer basis for Beingmate to recover some of its underperformance, particularly with Beingmate being successful in the early brand approvals that have recently come through. Having announced intention to invest in Beingmate in August 2014, Fonterra said in March 2015 that it had successfully completed a partial tender for Beingmate stock in which it acquired an 18.8% stake at RMB18/share resulting in an investment cost before transaction fees of RMB3.464 bn (NZ$756 mn at NZ$1 = RMB4.58). It entered Fonterra's accounts at this NZ$756 mn cost value. "Since that time though, Beingmate’s stock price performance has been somewhat lacklustre with the shares currently trading at Rmb10.24 following a recent period in which they were placed in a trading halt holding pending regulatory approval for a related party transaction. "At current exchange rates, the market value of FSF’s stake is ~NZ$420 mn, a decrease in value of ~45%," Dekker says. "In our view, the time is coming for a more fulsome discussion with investors on Beingmate," Dekker says. "We think this needs to cover the performance of the 18.8% minority investment specifically, together with the reasons for FSF’s confidence in the long-term value of that investment. "Given the three years that have elapsed since the broader arrangements were announced we think it would also make sense for FSF to provide colour on how the broader strategic objectives accompanying the wider Beingmate arrangements are working." Dekker says the fact Beingmate has been struggling financially over the last few years means it is also not inconceivable that this has had a negative impact on distribution of Fonterra's maternal and infant nutrition brand Anmum against expectations and on the volumes coming out of the joint venture agreement between Fonterra and Beingmate regarding the Darnum milk treatment plant in Australia. "We have been advocating for more information from FSF on Beingmate since it made this, not insignificant, investment." He says the Chinese infant formula market has been through some upheaval since FSF made its investment with changes in the regulatory environment, channels to market (more to online channels where Beingmate was less well positioned) and relative positioning of local and foreign brands all having an impact. "With regulatory changes pending over the last couple of years it is possible that a period in which inventories were built up in the market up until FY15 exacerbated what followed in FY16 when customers ran inventory levels down ahead of more clarity on how regulatory changes would flow through after 1 January 2018." Other factors will have contributed as well, he says. "Importantly for FSF and Beingmate, Beingmate has recently been included in the early batch of brand approvals and this could contribute to a positive response in sales for Beingmate as the market responds to a lifting of regulatory approval uncertainty. "We can appreciate that FSF needs to consider the right way to approach helping its investors, farmer base, and the broader market understand its position in Beingmate. "While there are explanations for some of the poor recent performance, and conditions may improve, it is also the case that Beingmate has failed to live up to FSF’s objectives and confidence in the investment is low in a business where a lot of FSF’s stakeholders have limited visibility. "We recognise FSF is a minority investor (with two Board seats) and that it does not control Beingmate. "But we do view Beingmate as a reasonably material investment for FSF (including for sentiment) and there are reasonable questions on its value in FSF’s books and on how the market should look at the investment – particularly given FSF’s view of the long-term value it has said it sees. "Certainly we think it will be timely for FSF to consider some more fulsome and open discussion on Beingmate than we have seen up until now." Dekker says First NZ has a NEUTRAL recommendation on FSF "with the key upside catalyst being potential for a less cautious approach if FSF can deliver on a sustained turnaround in earnings outlook over the next 12-18 months even as milk prices rise". "We are currently giving FSF credit for some of that turnaround but don’t have the confidence for a more positive view yet. "We are conscious that an inability to sustain the current earnings momentum which is in its early stages would lead to downside to our valuation." Dekker has a 12 month 'target price' of $6.09 for the FSF units, which compares with a price as of Thursday of $6.15.